The 2012 International Energy Conservation Code (IECC) is quickly becoming one of the most talked about subjects in professional construction circles. Those that aren’t discussing it soon will be because it represents the most aggressive minimum requirements in history for the building envelope. While not designed to restrict or eliminate methods of construction or to homogenize the building environment, this new code comes the closest to establishing parity for envelope construction solutions of the nature seen in the NCAA Division I Men’s Basketball Tournament this year. While this should be no real surprise, since the Federal government mandated a 30% reduction in projected building energy consumption for new structures back in 2006, it does appear to be catching many off guard. Over the past month, I have been hosting webinars for TCA members on the topic of changes to the 2012 IECC and the migration that has occurred from 2006 until now. The intent of this education is to prepare this industry for identifying the myriad of possibilities and the advantage that can be attained due to this delivered parity. More than fifty TCA members participated over four scheduled sessions. Part of their interest was in preparing to be authorized as a TCA representative for AIA and USGBC LEED AP learning units; however the majority of the interest was in positioning their companies to hold greater advantage in delivering the proven high-performance building envelope to their markets. This article provides a summary of the key points made during these webinars and evidence for the reasons why this entire industry needs to be positioned similarly. Humorist Sydney Smith is credited for stating, “The thing about performance, even if it’s only an illusion, is that it is a celebration of the fact that we do contain within ourselves infinite possibilities.” Mr. Smith was not involved in the building industry and his subject of “performance” was in no way intimated to be about energy consumption. I do believe, however, that his quote embodies characteristics I see in the future of opportunity for the tilt-up industry, with one exception: there is no illusion. Tilt-up buildings offer more, perform greater and simplify or respond to challenges in ways no other method of construction does. Energy code enforcement, like any other code or standard, is based solely on the measure of adoption. While in print, the 2012 IECC is a document engaged by only one U.S. state at the present time (Maryland) and is not projected to be a majority code until the end of 2015 or later. 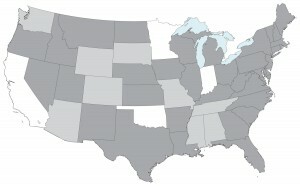 If you are interested in those jurisdictions affecting your market, go to www.iccsafe.org and look up the city, county or state of interest for their current document enforcement as well as projected adoption timeline. The presentation crafted by the TCA walks through the adoption history and projected adoption for all states from 2006-2012 IECC available at the present time. It takes time for such evolution to occur, especially when bridled by the economic consequences of complex systemology. 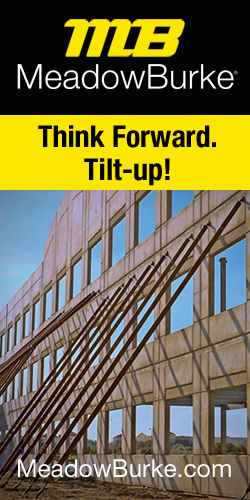 Yet in the wake of the identified challenges for nearly every building envelope system used in construction today, tilt-up remains to deliver an effective solution with little or no modification to its established state-of-the-art as we will now take a look. At the onset of this issue of increasing energy codes, I received an inquiry from a TCA member quite distraught that the future meant tilt-up construction could no longer be an option. It seems they were involved in a project looking at two markets. In one, the energy code was requiring the shell to be insulated while in the other the building could be labeled an uninsulated space or semi-heated and left without insulation, at the very least fit out with insulation by the tenant specification. Adoption evolution is certainly the issue here, not elimination of construction potential. This is also even more of a reason to understand the requirements and therefore advantages for tilt-up construction. Continuous insulation means uninterrupted across all structural elements. Continuous insulation can only be interrupted by an attachment connection that does not exceed 0.027 in2 per ft2 (equal to the amount of a 1-in. x 20 gauge steel tie at 16 in. o.c. in one direction and 24 in. o.c.). Continuous insulation must be maintained at changes in envelope direction. Continuous insulation must be provided for all climate zones and all buildings exceeding an energy budget of 3.4 watts per sq.ft. (equal to the amount necessary to protect sprinkler systems from freezing). From this we can conclude that it is the intent of the energy code to see all building envelopes have a complete thermal barrier. While I could describe the impact to many types of building constructions and programs, you can freely contact me for these examples or find them in our Energy presentation. Tilt-up buildings have decades of proven experience providing complete insulation envelopes in one of three ways insulation located on the interior surface, insulation applied to the exterior surface or insulation delivered in a sandwich configuration. Each of these remains a viable solution without requiring technical change, that is assuming insulation has been provided in the past and it has been designed to cover 100% of the surface area. 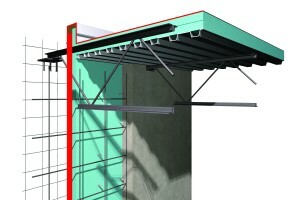 Typical detail illustrating the continuity of the air barrier in tilt-up concrete construction (shown in red). Equally as striking in the 2012 IECC is a new requirement for crafting a complete and integral air barrier for the above-grade building envelope. The weight of air-infiltration on the energy budget is substantial; ask any mechanical system designer. With this code update, ASHRAE and the ICC have instituted a design and construction requirement that mandates all building systems be scrutinized or tested to achieve a minimum air permeance rating. You can read even more about the air barrier requirements for the 2012 IECC in an article posted to Tilt-Up Today Online at www.tilt-up.org/tilt-uptoday. The main issue of importance here is that since tilt-up construction became established as a major building technology post World War II, the science of this construction method has been providing a compliant air barrier. Tilt-up panels are, in essence, cast-in-place concrete that complies with the approved materials listing found in section C402.4.1.2.1. The air-barrier continuity is maintained between adjacent panels compliant with section C402.4.2 and fewer joints exist in tilt-up than all other building systems. 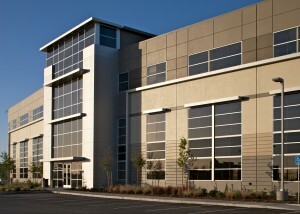 Finally, the tilt-up construction market has maintained effective air-barrier continuity similarly to all other envelope components such as windows and window systems with clean, caulked edges; roof systems through caulked reglets, termination bars or metal copings; and to circulation systems such as doors and vestibules. Like the issue of continuous thermal envelope, the continuous air-barrier for tilt-up is an integrated performance attribute that has decades of delivered experience. Drive into any metropolitan area and most suburban reaches and you will quickly identify the glass structures of the modern era. Glazing systems have become the vehicle for achieving lightness in architectural style while capturing intentional or unintentional vistas from within the building program. While dramatic in appearance and offering more daylight to lessen the need for artificial light, glazing systems are not nearly as thermal as opaque systems with continuous insulation. Additionally, the sunlight that passes through brings a substantial increase to the air conditioning requirements. The 2012 IECC has enacted a constraint on the vertical fenestration area to a maximum of 30% for the future. It is true that this requirement does not pertain to spandrel glazing systems, since they do not let daylight through, and that there is an allowance up to a maximum of 40%, provided a few requirements are met. However, the fact remains that a change will begin to take place in the architectural style of the modern multi-story, and tilt-up is in an advantageous position. 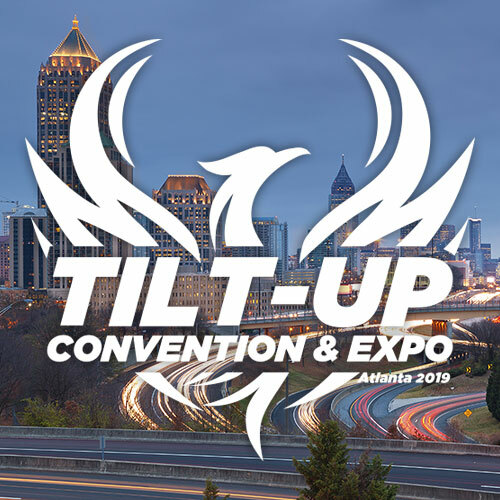 Through iconic architectural variety and style, tilt-up construction is the only building system to deliver continuous thermal envelope and continuous air-barrier without technical or structural change. It is for this reason that you are encouraged to seek out our training program, Tilt-Up Concrete Construction: A Real Energy Envelope Solution, one of your member benefits of belonging to the TCA and preparing your company for a future of possibilities.